Universal Avionics has received FAA technical standard order authorization for the company’s new flight management system/multi-missions management system software version SCN 1002.0/1102.0. With this software, operators can take advantage of localizer performance level of service approaches and a transition-to-hover search pattern. The LP approach marks the fourth level of service supported by Universal satellite-based augmentation system-flight management system. A course on flight physiology for helicopter operators is to be offered at Heli-Expo. The course, taught by one of the industry’s leading subject matter experts, Dr. Dudley Crosson, will focus on the latest research and developments on topics that have led to numerous helicopter accidents and pilot deaths. The course looks at current topics from an operational perspective. Subjects include the deadly side effects of fatigue and sleep deprivation, negative impact of energy drinks on flight crews, and how stress can destroy a pilots decision making process. Trace Worldwide Corp., displaying at Heli-Expo at booth C938, is also participating in the Rotor Safety Challenge with a presentation on turbine engine hygiene. Join the discussion Wednesday, Feb. 28, from 9:15 to 10:15 a.m. in the Las Vegas Convention Center North Hall, Room N253, as Mike Broderick, A&P, provides an in-depth look at turbine engine health and how to maintain it. 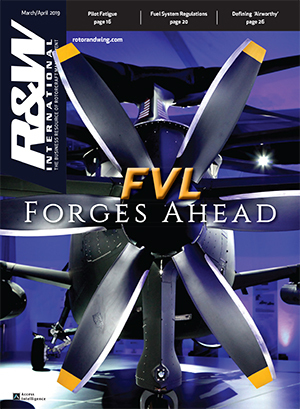 Discover what the U.S. Coast Guard, Army Reserve National Guard, Colombian National Police, U.S. Border Patrol and others are doing to assure their turbine engines maintain power, reduce their direct operating costs and safely reach overhaul limits. Trace Worldwide, with regional and international offices, is headquartered in Los Angeles, California. 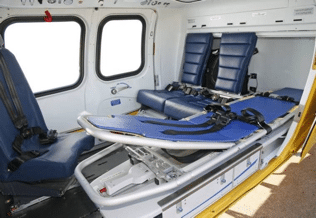 Since 1987, Trace has been serving all segments of the aviation community with a focus on tactical and mission equipment for airborne law enforcement, airborne fire suppression, helicopter emergency medical services, and search and rescue operations. Members of the U.S. Helicopter Safety Team will be providing their safety advice for Heli-Expo participants in Las Vegas at 13 different workshops in a wide variety of topics. The full list of USHST-related workshops scheduled at Heli-Expo 2018 can be found at ushst.org. 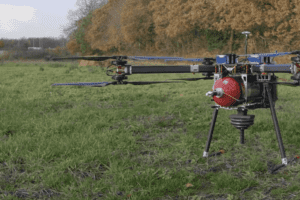 Frasca International has launched a lower priced helicopter training device designed for helicopter air ambulance providers, airborne law enforcement, introductory turbine transition training and ab-initio flight schools. The simulator will be on display at Frasca’s booth (N3909). 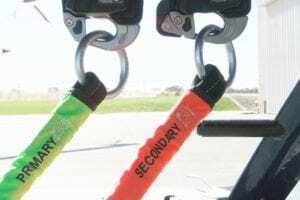 Frasca developed the training device in response to customer demand for such a device that had a lower price point, but still delivered the features required to meet their training objectives. 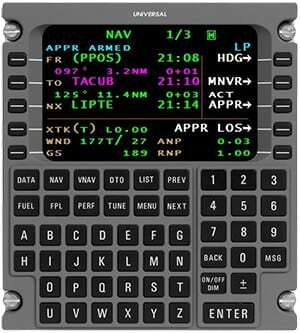 The device comes standard with one aircraft configuration kit (B206, B407, R44, AS350), Garmin G500H or analog instrument panel, Garmin GTN 650, collective grip based on aircraft configuration kit (governed or ungoverned piston, modulated, or FADEC), annunciator panel and circuit breakers required in RFM procedures, Frasca’s helicopter mission training database, single channel visual system, Frasca’s Simplicity Touch-Screen Instructor Station (IOS) and will be AATD qualified. The first launch customer for the simulator is Air Evac Lifeteam, who took delivery of seven B206 HTDs earlier this year. Hong Kong business aviation consulting firm Asian Sky Group (ASG) will fully release its Asia Pacific Civil Helicopter Fleet Report 2017 during Heli-Expo. 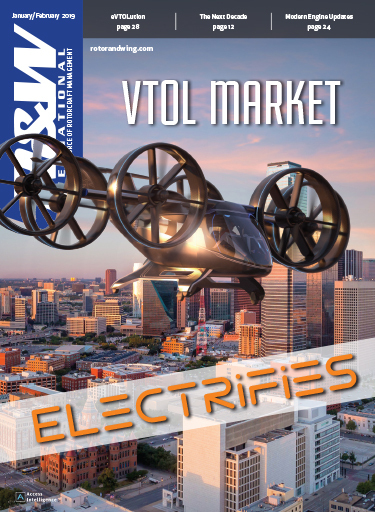 This year’s fleet report will feature updated data on the 2017 Asia-Pacific helicopter fleet; corporate profiles on Waypoint Leasing and Spectrum Aeromed; an Airbus Helicopter H215 spotlight; an operator profile on China’s Shanghai Kingwing General Aviation Co., Ltd.; as well as special sections on helicopter leasing, the offshore market, helicopter emergency medical services and Greater China. The firm’s manading director, Jeffrey Lowe, recently spoke at Helicopter Investor London Jan. 31, discussing the growing helicopter market in China. 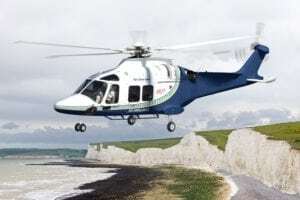 Leonardo said in January that Kent, Surrey & Sussex air Ambulance Trust has accepted its second AW169. The aircraft’s medical interior will be installed in the U.K. by Specialist Aviation Services (SAS). The AW169 is expected to enter into service in the second quarter of this year, along with the operator’s first aircraft that entered service last year. 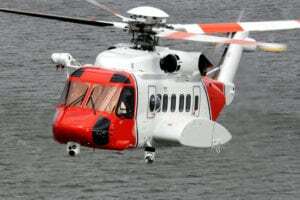 SAS has placed orders for 12 AW169s and is an authorized service center for the aircraft in the U.K. The aircraft type will be on display at Leonardo’s booth (C3225). Rockwell Collins will be showcasing an enhanced portfolio of nose-to-tail avionics solutions for light to heavy-lift helicopters. For the first time at Heli-Expo, Rockwell Collins will have products on display from its interior systems business, which was formed from its acquisition of B/E Aerospace in April 2017. 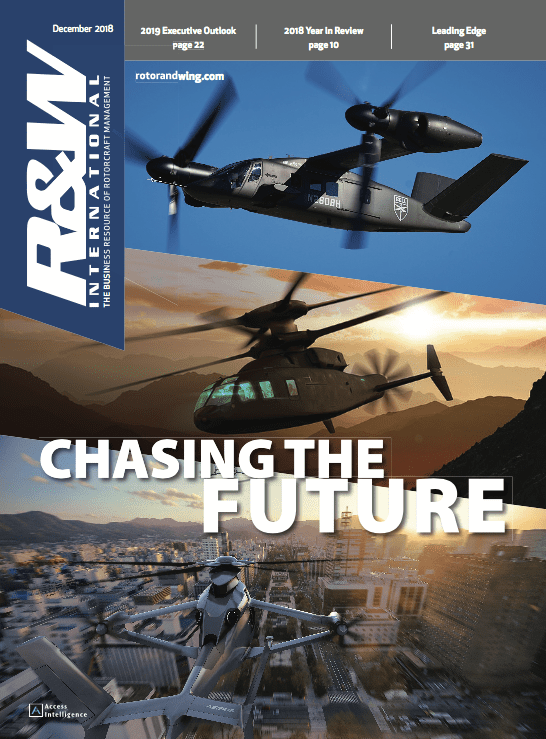 A comprehensive portfolio now spans the length of the helicopter that include cockpit display systems, mission computers, radios, pilot and passenger seating, exterior and interior lighting, connectivity routers, and other onboard components. On display at its booth (C1731) will be its next-generation cockpit display system, as well the HeliSure flight situational awareness solution, which includes Helicopter Synthetic Vision System (H-SVS) and the Helicopter Terrain Awareness and Warning System (H-TAWS). Integrated into low-risk, digital and all glass cockpit upgrade retrofits that Rockwell Collins provides, the HeliSure system enables crews to operate in tough, all-weather environments while increasing safety. 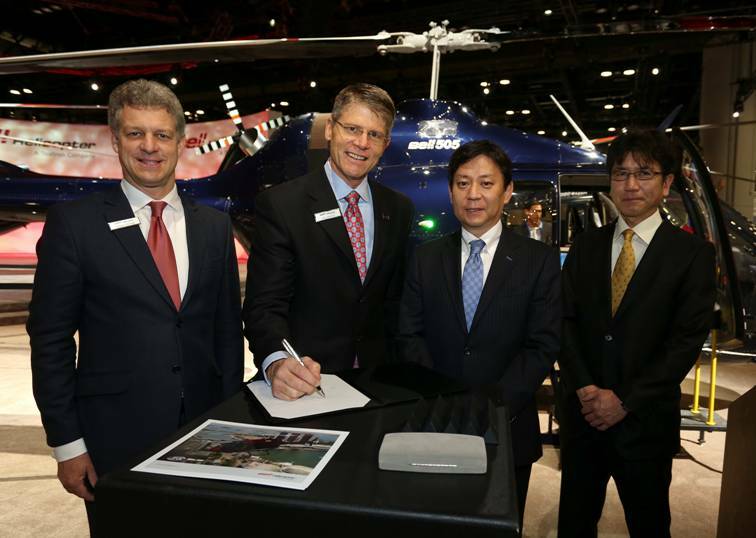 Global helicopter leasing company Waypoint Leasing announced changes to its executive team, which includes a new CEO and president. Effective Feb. 5, outgoing CEO and founder Ed Washecka was replaced with incoming CEO Hooman Yazhari. Yazhari was previously CHC Helicopter’s general counsel and chief administrative officer. Further announcements include current COO and CFO Alan Jenkins being promoted to president of the company. Allan Rowe has also been promoted to head of sales and relationship management. 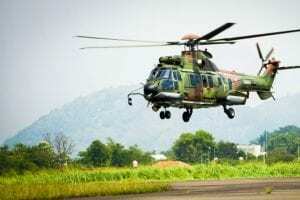 Honeywell Aerospace has released its latest health and usage monitoring system technology to help civil and defense helicopter operators ensure aircraft availability while increasing safety and reducing operational and maintenance costs. Recon is a new solution that uses connectivity to share critical aircraft health data in real time. This allows maintenance crews on the ground to track the health of a rotorcraft no matter its location. 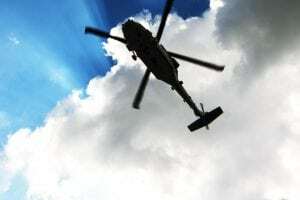 Combined with other solutions like the Sky Connect tracking systems and Aspire 200 Satellite Communications System, Honeywell is enabling operators to benefit from the Connected Helicopter. Honeywell’s latest product can acquire and process data eight times faster compared with Honeywell’s previous systems, reducing flight-test time and increasing data collection. It also enables in-flight rapid data processing and assessment with alerts that can be transmitted via satellite communication systems. The Recon solution will be on display at Honeywell’s booth (C1329). Safran Helicopter Engines will have on display at its booth (C4743) its newly unveiled 2,500 to 3,000-plus shp engine family for super-medium and heavy helicopters, with its first application on Leonardo Helicopters’ AW189. 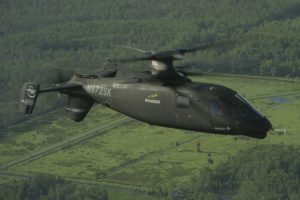 Safran said the Aneto incorporates technologies developed as part of the Safran Helicopter Engines R&D roadmap and its Tech 3000 technological demonstrator initiative. Tech 3000 supported Safran ‘s validation of designs and technologies capable of delivering up to 15% better fuel economy over today’s high-power engine models, the company said, adding that those technologies would be incorporated gradually into Aneto models. Safran said the Aneto’s power-to-volume ratio will give it 25% greater power than existing engines of the same volume, contributing to increased mission capabilities for such missions as offshore, search and rescue, firefighting, and military transport.